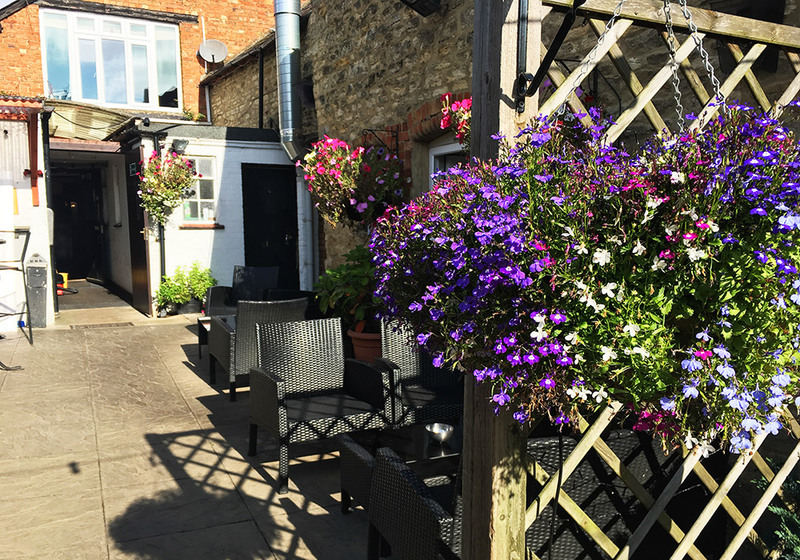 Great for all the family with children welcome before 9pm, the Greyhound Inn has a beautiful courtyard with outdoor seating, perfect for those warm summer nights. 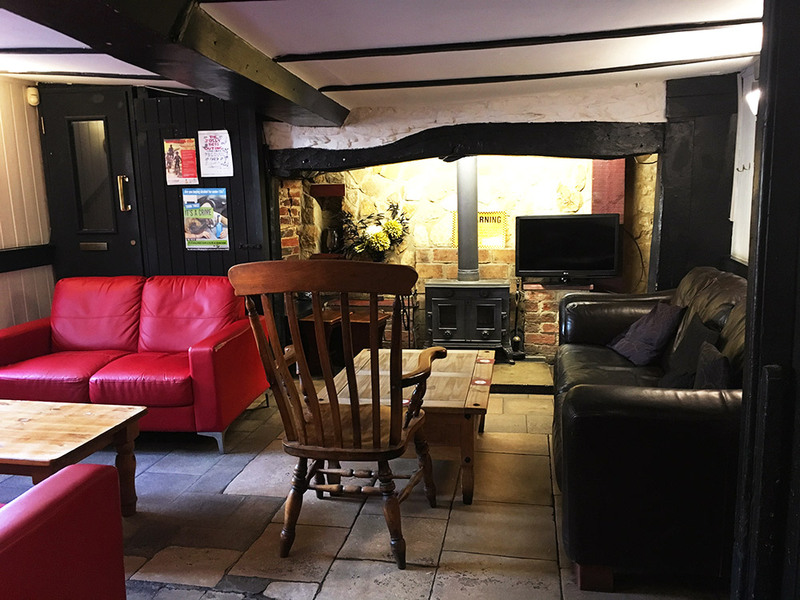 As well as being able to eat and drink outside, inside you will find a comfy restaurant area with full breakfast, lunch and evening menus. 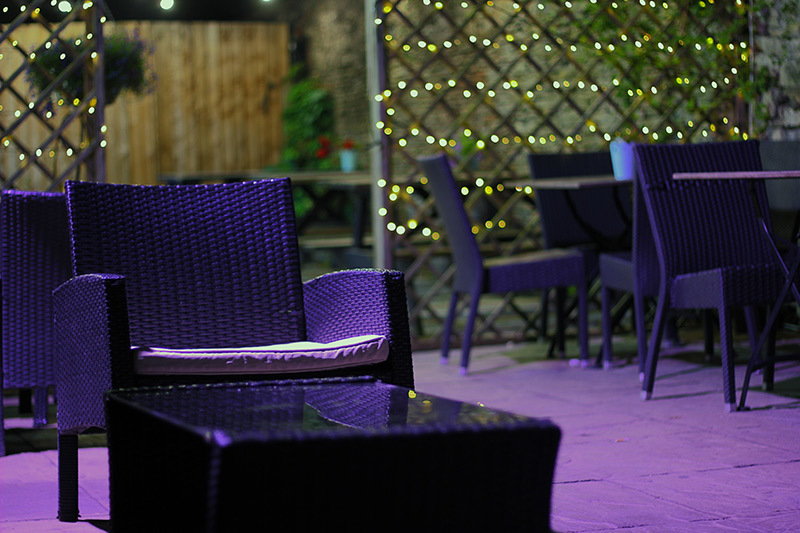 Make the most of our deals: 2 meals for £12 (Monday to Saturday 12-6). 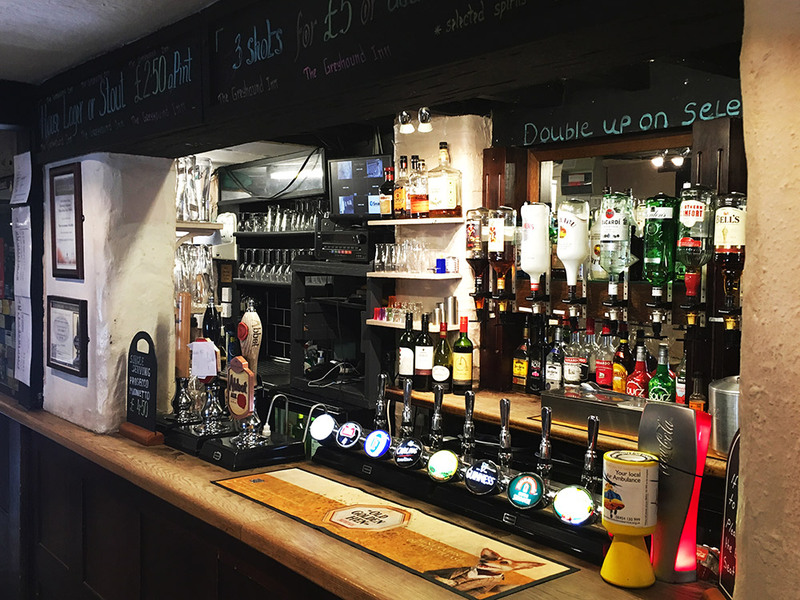 We also serve an amazing traditional Sunday lunch along with a steak deal (everyday), all accompanied by a vast selection of beer, lager, wines and spirits. 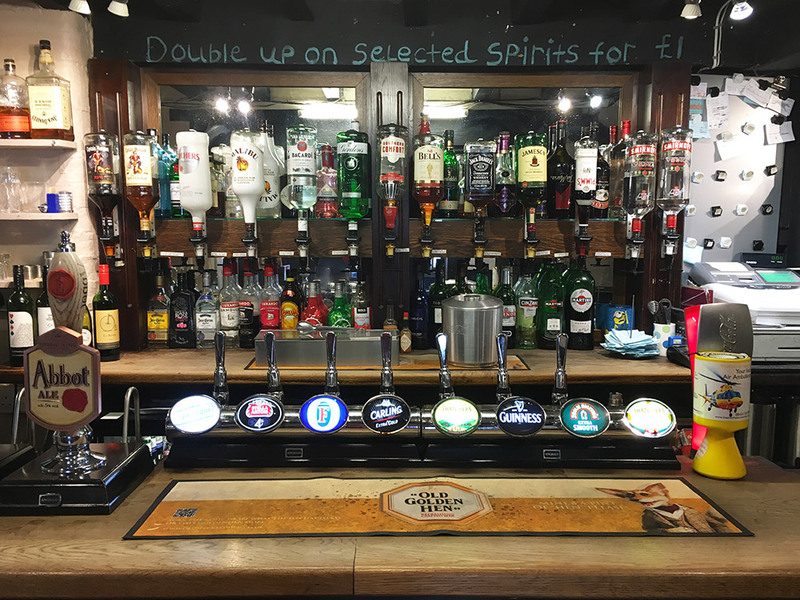 Our house stout / lager is just £2.50 a pint and you can even double up on spirits for only £1! 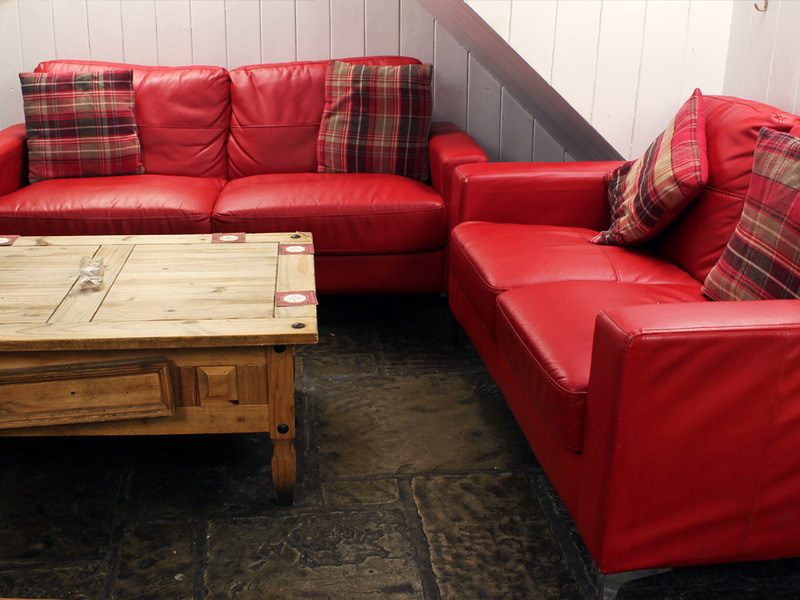 With a 5 star food hygiene rating and a cosy open fire for chillier times. 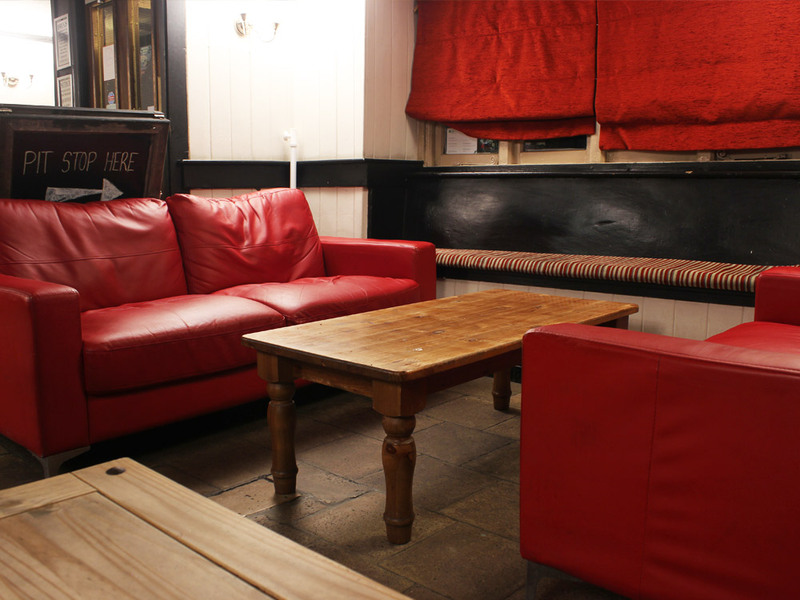 Don’t forget to make use of our function room upstairs with pool table, dart board, iPod/music and free Wi-Fi. 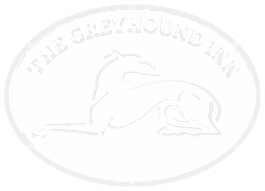 Dating back to the 1600s, the Greyhound Inn is a great old English pub with a wonderful atmosphere and always a friendly smile to greet you from the helpful staff. 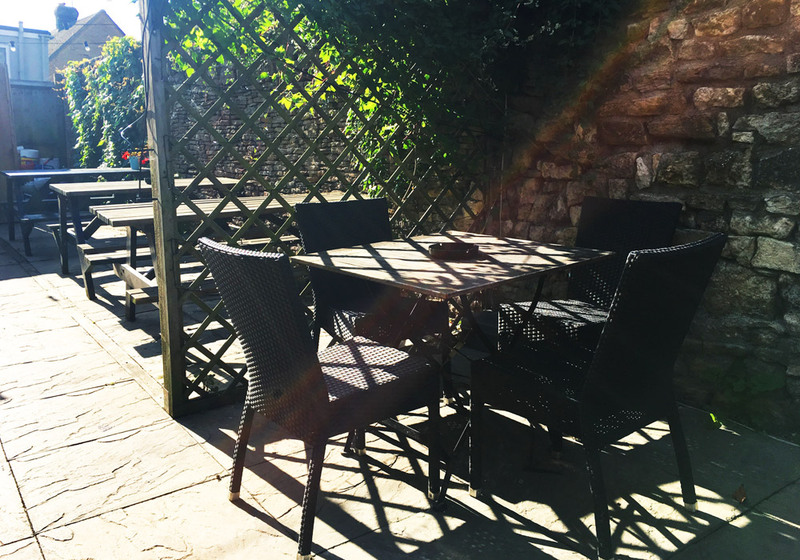 Whether you are looking for a great outdoor space to eat and drink with the family or a cosy space indoors by the roaring log fire, you will be well looked after. 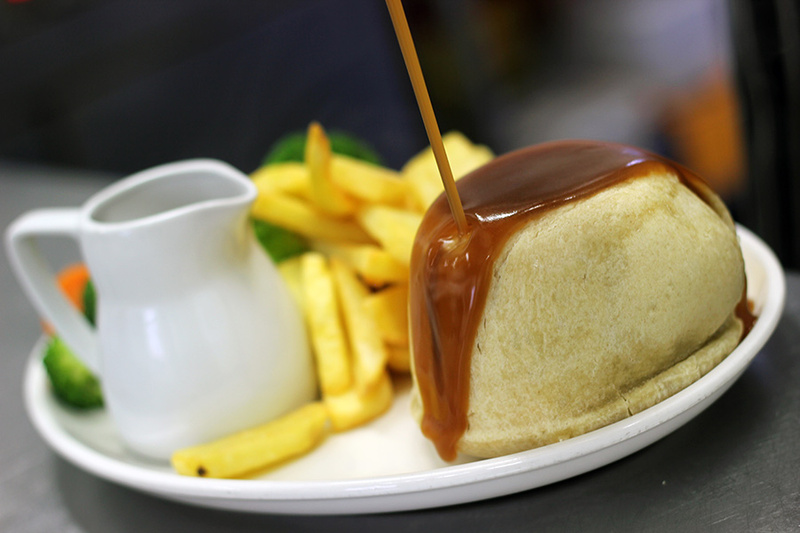 Our menu carries something for everyone, from breakfast through to a full evening meal. 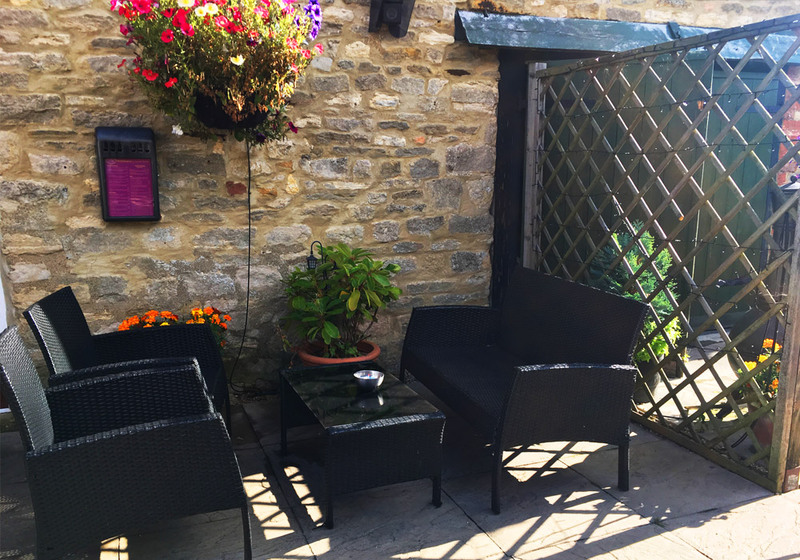 Pretty, relaxing and accommodating; that is how you will find the courtyard at the Greyhound Inn. 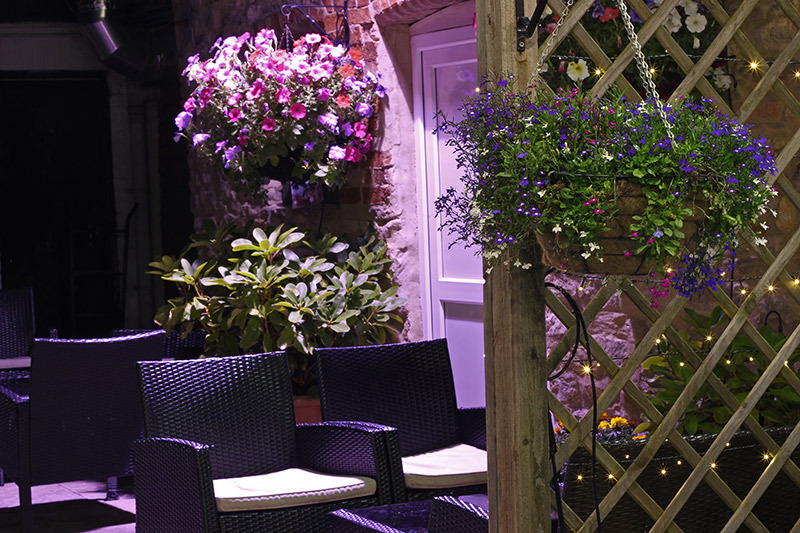 Set up specifically for outdoor drinking and dining, it is a welcoming spot to sit and spend time with friends and family. 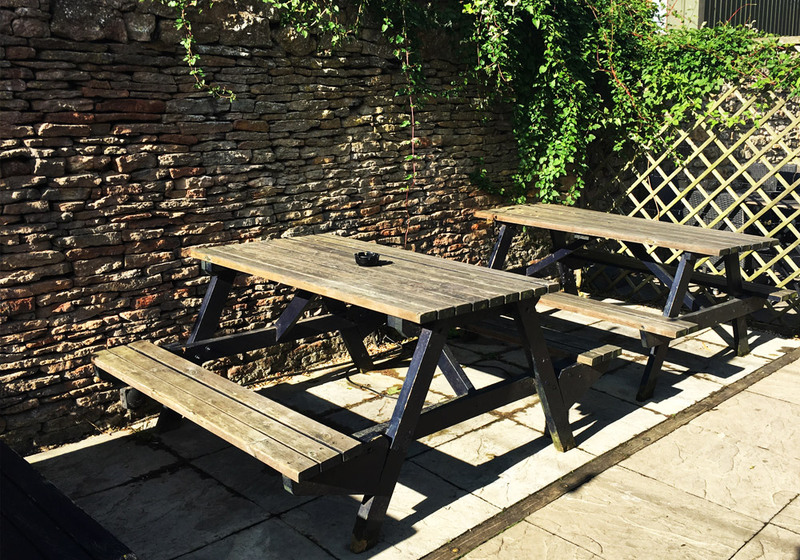 We provide a table service so you don’t even have to make a trip indoors and our breakfast, lunch and evening meal menu can also be served outside. 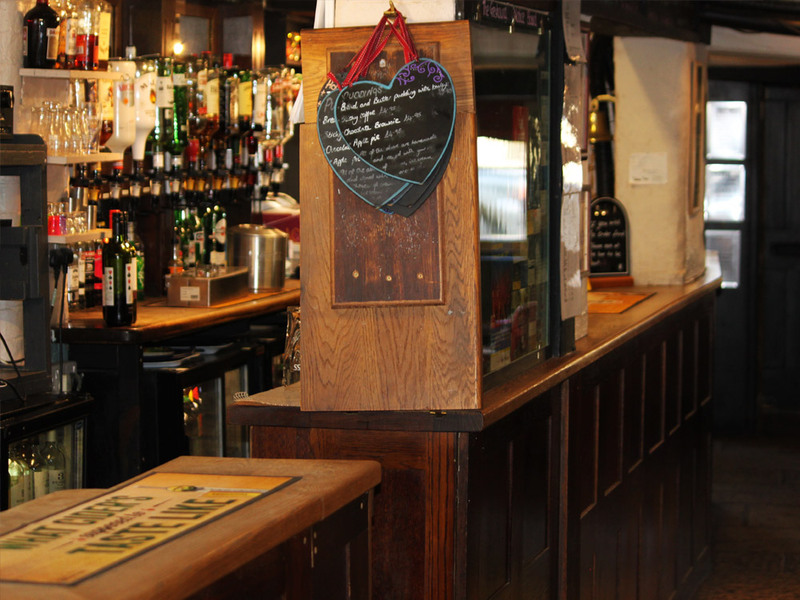 Our free Wi-Fi means you can even check in on your phone, never having to miss out on what’s going on. 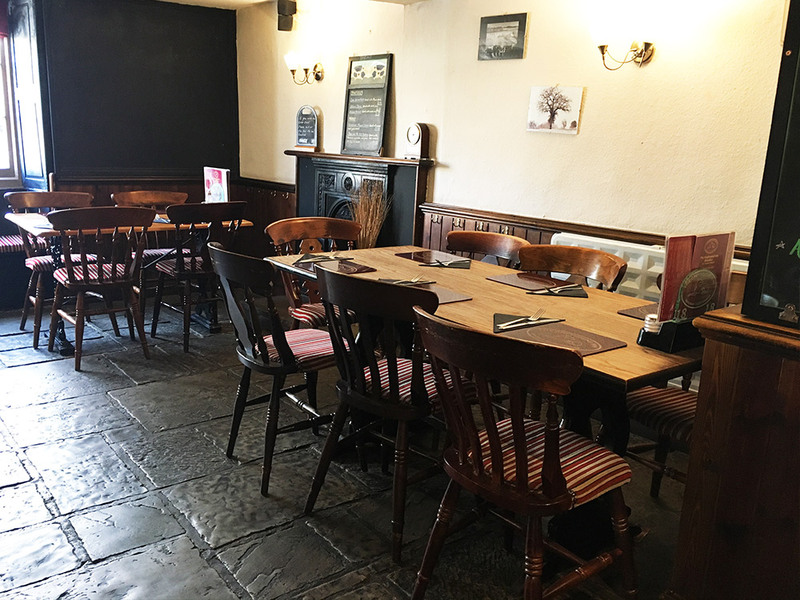 Take a moment to look through our menu of delicious home-cooked meals, offering breakfast, lunch and evening meals and get your taste-buds working overtime! 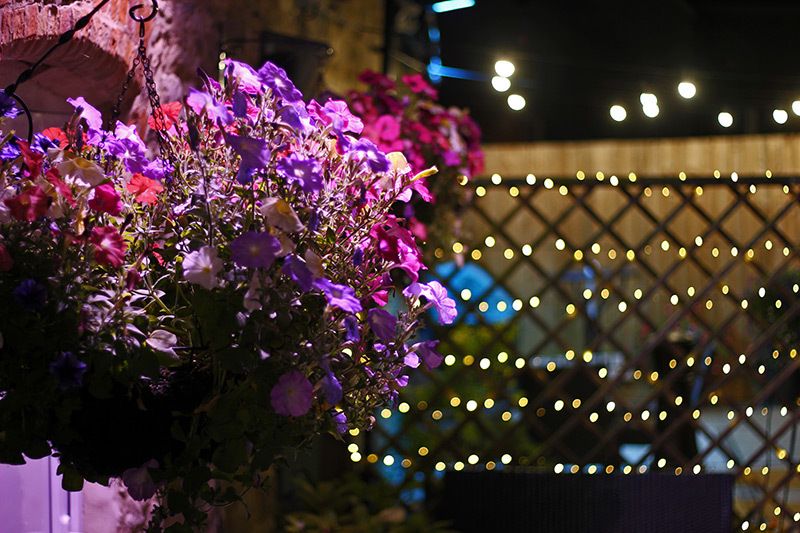 With a range of delicious food to suit everyone, families with children are well catered for up until 9pm. 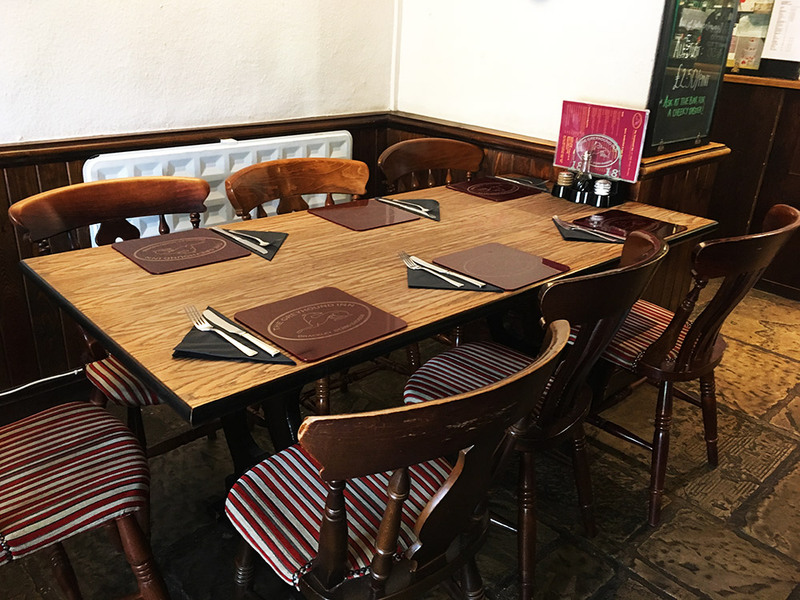 Check out our meal deals: 2 meals for £12 (Monday to Saturday 12-6) or our Sunday lunch or steak, served up every day so you never have to miss out. 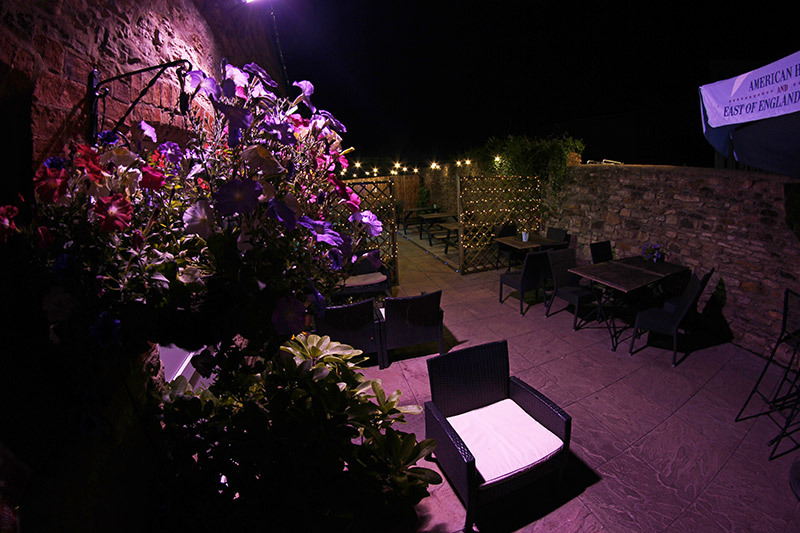 All this accompanied by award winning beer and lager as well as wines and spirits.